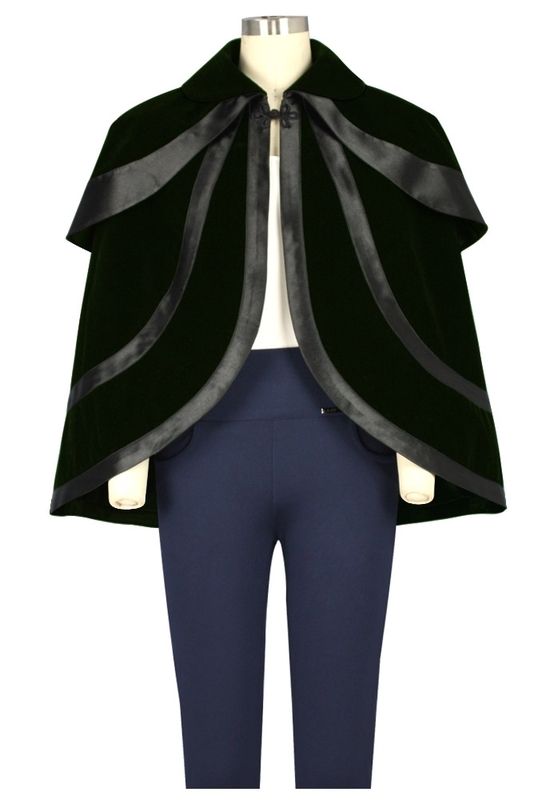 This is a flocking velvet cape features two collars and a functioning frog clasp in front. The large collar and bottom hem are trimmed with satin. Fully lined. Standard size approx. length: 27 inches; Plus size approx. length: 30 inches.